What is a doula and why is she so important to you and your baby? The word "doula" comes from the Greek word meaning "a woman who serves" or "handmaiden". A doula is a woman who is experienced in childbirth and provides continuous emotional and physical support to mothers during labour, birth and the early postpartum period. Non-medical support can reduce the risk of complications during labour and childbirth and increase a mother's satisfaction with her overall birth experience. Doulas provide non-medical support to the mother and offer information and explanation of the events that may occur during labour. 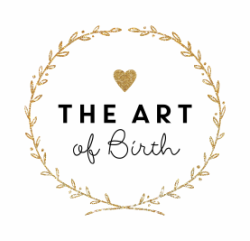 She encourages a mother to become informed about her various birth choices and facilitates communication between the labouring mother and her team. A doula encourages the use of comfort measures including relaxation, breathing, movement and position changes. She offers breastfeeding support in the early postpartum period and can provide the mother with additional resources available in the community. Watch this short video to learn why Doulas are so important!